(Washington, D.C., August 8, 2016). Today, in the U.S. District Court for the District of Columbia, the parents of Benghazi victims Tyrone Woods and Sean Smith, Charles Woods and Pat Smith, filed suit against Hillary Clinton for allegedly wrongfully causing the death of their sons as well as for defamation and intentional and negligent infliction of emotional distress. The suit was filed on their behalf by lawyer Larry Klayman, the founder of Judicial Watch and now Freedom Watch, and a former federal prosecutor for the U.S. Department of Justice. The complaint (Case No. 1:16-CV-01606), can be found at www.freedomwatchusa.org. "Having used a secret private email server that we now know was used to communicate with Ambassador Christopher Stevens with confidential and classified government information, and which we also now know was likely hacked by hostile adversaries such as Iran, Russia, China and North Korea aligning with terrorist groups, it is clear that Hillary Clinton allegedly negligently and recklessly gave up the classified location of the plaintiffs' sons, resulting in a deadly terrorist attack that took their lives. It is no coincidence that covert State Department/CIA operations were being run out of Benghazi. "To add insult to deadly injury, Hillary Clinton told the plaintiffs that their sons were killed as the result of a video mocking the Islamic prophet Mohammed when she knew that they were murdered by Muslim terrorists. 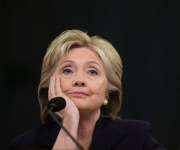 When the families exposed her lies, she called them liars to protect her reputation and to further her own presidential ambitions. She thus defamed the parents of fallen heroes Tyrone Woods and Sean Smith, as well committed other wrongful acts, as alleged in the complaint. "Hillary Clinton has been thus far fortunate, throughout her career, to escape the long arm of the law, believing and acting as if she is above the law. This time, her 'luck' has run out." 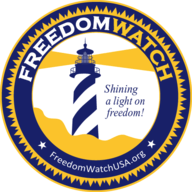 Please support Freedom Watch today!